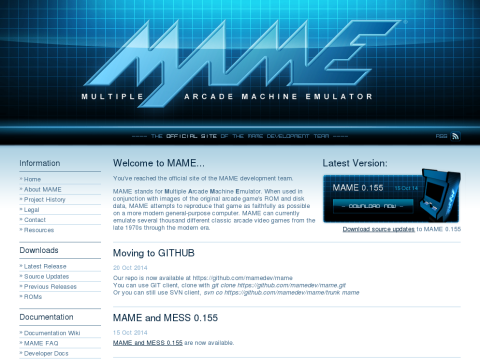 You've reached the official site of the MAME development team. MAME stands for Multiple Arcade Machine Emulator. When used in conjunction with images of the original arcade game's ROM and disk data, MAME attempts to reproduce that game as faithfully as possible on a more modern general-purpose computer. MAME can currently emulate several thousand different classic arcade video games from the late 1970s through the modern era.